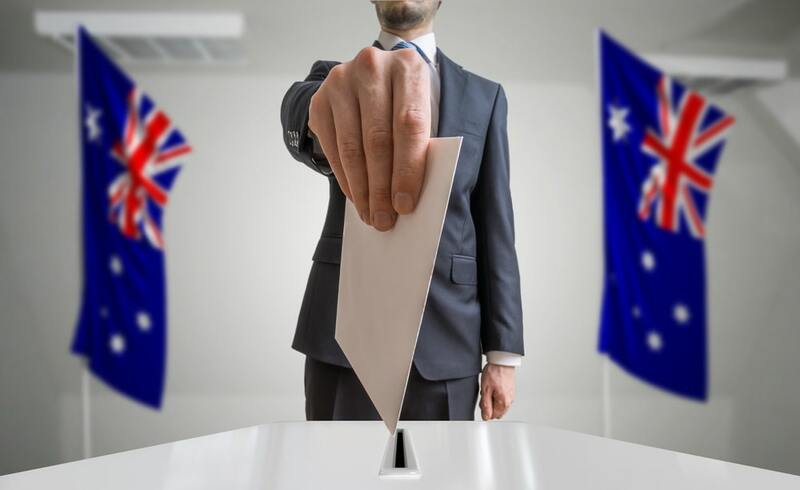 The federal election campaign is, for all intents and purposes, in full swing with Labor and the Liberals crisscrossing the country to make their pitches for government. Polls indicate Labor and Bill Shorten are on track for a convincing win, and property investors I’m speaking to are nervous. The party wants to reform negative gearing and make sweeping changes to capital gains tax. What does it mean for pioneering purchasers? Should they buy now or wait and see? Let’s take a look. Firstly, in a nut shell, negative gearing is when the costs of holding your investment (including the mortgage interest) exceed the income it produces. That is, the income after all of your other deductible expenses is negative. You can then use that ‘loss’ to offset your other income e.g. wages or the sale or shares, to lower your tax. Labor is proposing to change the rules so negative gearing provisions apply to new housing only. But all investments you hold before the change comes into effect – and we don’t know yet when that would be – are “grandfathered”, or excluded. And even if you buy an existing dwelling after the rules change, you can still claim the loss on other income – just not wages – or carry it forward to offset capital gains taxes when you sell. On the capital gains tax front, Labor also wants to lower the discount you’re entitled to. At the moment, if you hold an asset for longer than 12 months, you get a 50 per cent discount on the tax you’d be liable to pay when you sell. Labor wants to reduce it to 25 per cent. That change will also be fully grandfathered, with dates for its implementation yet to be announced. As at the time of writing, pundits are predicting a May election. Labor says that if it wins, it’ll consult with the property industry and taxation experts to fine-tune the details. So, by the time that’s all done, it’s reasonable to expect any negative gearing and capital gains tax reforms wouldn’t be implemented until the start of the 2020-21 financial year. Or, July 1 in 2020. A few things to note. This will be a big election issue – the Liberal and National Party Coalition will fight on it. This could mean that Labor makes some concessions in order to ease voter fears. And even if it enjoys a resounding win, consultation with property experts could see them water down the changes or delay them further. The fact that real estate stakeholders have seen a softening in prices, particularly in Sydney and Melbourne, means the dial has shifted considerably since Labor first floated this policy. That could also lead to a re-think. But regardless, I’m not convinced most property investors should pull up on their plans because of the potential negative gearing changes, and here’s why. Negative gearing is a path to tax minimisation, and it does help ease the burden of holding a property, but it shouldn’t be the primary reason you invest. If you are relying wholly on negative gearing to prop up your investing, then the problem is with your portfolio, not the policy. Investing is a long-term game. The aim is to buy property with good fundamentals that can grow over the long-term and not be a huge burden while you hold it. There would be an impact in the short-term of changing negative gearing, there’s no denying it. But RiskWise, an investment analysis firm, looked at areas that would see an adverse effect. They’re confined to spots like the Adelaide Hills, Mackay and Townsville in regional Queensland, Darwin and inner-city Perth. In my view, most of those areas are either highly speculative, poor investments or prone to dramatic market shifts. RiskWise found some inner-city suburbs of Sydney that are saturated with recently completed and soon-to-be-finished unit developments could also see an impact. But I would also argue that buying a stock-standard unit in an oversupplied location is a flawed strategy in the first place. Even though Labor claims the changes will significantly boost housing stock, economic modelling by Master Builders found that there could be almost 50,000 fewer homes built… so, less supply. If demand holds steady, basic economics indicates that prices would too – and even grow in many cases. Rents will rise as a result of fewer investment properties being in the market. Would-be first homebuyers will begin to realise that they can pay a bit more each month to own and the bottom end of the market will lift. Those existing owners in that segment will sell and upgrade. Fresh analysis just released by SQM Research predicts that rents will rise significantly nationally between 7% to 12% and that housing prices will fall up to 8% given certain economic conditions if negative gearing is repealed. Should you wait or buy? Why would you wait? Prices in Sydney in particular at the moment seem are close their low point with a long-term recovery anticipated. There are some real bargains to be had if you know where to look too. During times of economic uncertainty means softer conditions and the ability to negotiate a far better price on a quality property. Buying now means you have less competition and set yourself up for a long-term hold. A buyer’s agent who is working on the ground, has a wealth of experience, is independent and properly qualified, and is well-connected to the market can help you uncover some excellent property gems that will deliver long-term gains. Regardless of negative gearing and capital gains tax changes, they are gains that will exceed the pain and have you laughing all the way to the bank. But if you wait to see what happens at the ballot box and then a year or more after that, you could miss the boat and your chance to lock in the best possible return.